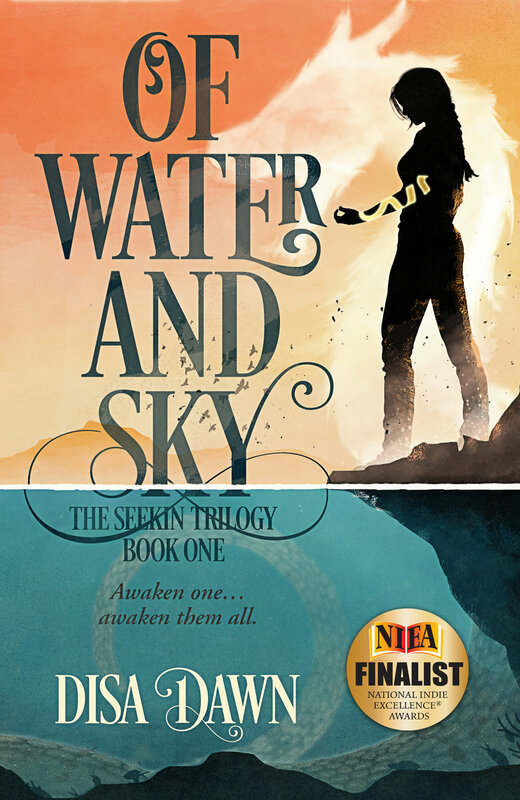 Love awakens destiny in this genre-bending supernatural adventure! Insomniac Piper Laurel focuses on the simple things, the feel-good things. She likes her coffee black, her wine cheap, and her men gone by morning. But when her last living relative dies, she must confront the feel-bad things. She’s the last Laurel, she’s almost thirty, and she’s completely alone. When she returns to her sleepy seaside hometown, her ex is still as yummy as ever, and a familiar-seeming stranger is also there to tug at her heartstrings. But a love triangle isn’t the only thing waiting for her. The immortal Anik has spent centuries plotting to claim the last Laurel—and a lot of innocent souls in the bargain. To survive Anik and the Realm Wars, Piper must forget her version of reality and awaken to her destiny as a Seekin, Guardian of Souls. With two men vying for her heart and hellhounds on her heels, Piper must decide who she trusts and who she loves while embracing her destiny with her eyes wide open. When I put away “Of Water And Sky” for the final time, I felt like I had just read a story of a family and friends reunion, filled with perennial loves and feuds, as a page out the ancient Greek myths that stand the test of time. Sleepless beauty living in a small, lost, forgotten realm seeking the love for “her heart never set right” and connection to the lost loved family members, firstly her father. This story made it happen for her, so that in one moment “everyone who should be present was”. However, the way to make it was very difficult and complicated. To find true awakening, to change destiny, she mind-traveled to fight and free herself, her unborn son, and the realm from everlasting evil willing to sabotage, betray, and destroy everyone for personal gain. Using hidden portals for protection she is supported by many, some supernatural, some shape-changing, or difficult to recognize character, like who is or what is Fourth Soul. Some supernatural abilities are necessary to complete the quest – not in the least to resolve the everlasting quandary of a love triangle. When trying to strengthen her relationship, but feelings in a moment spiral out of control, she can simply disappear in the mist. But, in the game of Love you can not beat Destiny. The uniqueness of each love shines through the pet names: for Reggie she is Laurel; for Matthew Pepper; for her father simply Pippi. It’s like truly walking in Piper’s shoes. A perfect blend of our reality and a bit of supernatural.